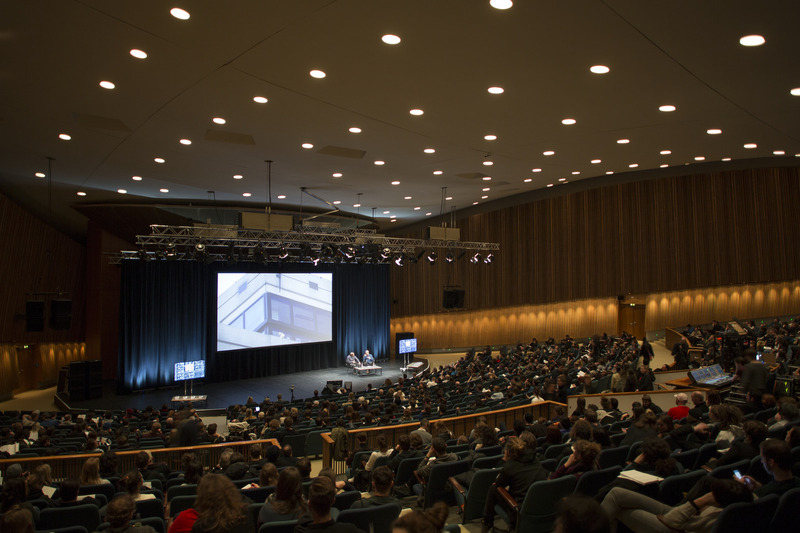 The particularly dense program of the 29th Transmediale in Berlin on February 2-7 was dominated by talks and panel discussions rather than exhibitions. The “Conversation Piece” theme raised the issues of civil liberties and digital autonomy in a tense Europe. Ideas in review. While last year’s tactical media event tackled the marketing of big data in the age of social control, the artistic director, Kristoffer Gansing, chose for the 2016 edition to focus on our “anxious” society. This anxiety is expressed in the constant and necessary tension that propels hackers, makers and activist media in their will to remain independent and agents of society’s democratic transformations. 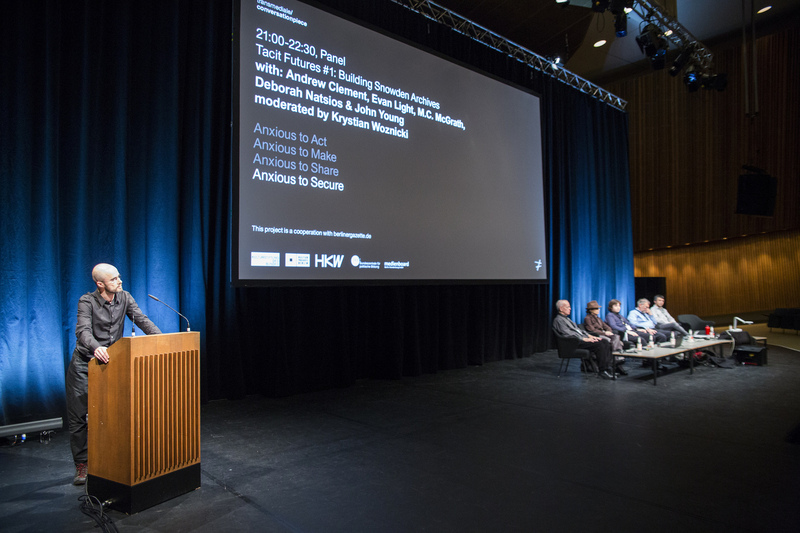 This “anxiety” to act, make, share and secure pervaded the many spaces of the Haus der Kulturen der Welt (House of world cultures). Their common hub was recent political crises, from Egypt to Gaza, from Turkey to Greece, whistleblowers and the role of hacktivists in forensic acts of resistance against the government’s bulldozing “truth”. Right from the opening, media theorist Brian Holmes raised the concept of the Citizen Spy, during a conversation with American artist Steve Rowell about his transmedia documentary Parallelograms, an investigation of ubiquitous lobbying in the urban landscape of Washington, D.C.
For Holmes, imperatives to take action and citizen spying techniques have grown stronger since the Bush years, and not just in the United States. It’s no longer possible to simply remain optimistic under the circumstances, we must renew our modes of operation against the new techniques of State control. Hence the need to become “citizen spies”, much like the reported abuses of the state of emergency in France implemented by La Quadrature du Net. The historians of Tactical Media Files, which encompasses hackers and video activists from the beginnings of the Internet, have largely developed the notion of citizen surveillance of police. Researchers Eric Kluitenberg and David Garcia talked about the evolution of broadcast systems and their impact on media activism, from pirate television to Internet television, to the explosion of video sharing on social networks. In 1988, the Tompkins Square Police Riot was filmed by video artist and activist Paul Garrin—a “reverse Big Brother” posited Garrin, as early as 1988, “people watching the state”. Since then, not much seems to have changed, besides the increasing sophistication of tactical media. And, is it not urgent, five years after the Arab Spring, to review the archives of video activists of these revolutions? The festival gave a stand to these militant videographers: those of Tahrir Square in artist activist Lara Abadi’s transmedia project Vox Populi, which reconstitutes the day-by-day events that took place in Egypt; those of Gezi Park in Istanbul in 2013 in Bak.ma’s large database of video archives. In Berlin, tactical media activists questioned why digital security systems were going into a tailspin. Inviting to considere the changes in post-Snowden era’s technological practices, or the blockchain, which some see as the future of online commons. In the Tactical Media and the Archive workshop, Eric Kluitenberg also evoked new ways of building relational databases, and invited us to read Michael Seemann’s book, Digital Tailspin: Ten Rules for the Internet After Snowden (Institute for Network Cultures, 2015). According to Seemann, if traditional institutions and civil liberties are upset by the contemporary “digital tailspin”, we are not necessarily disadvantaged. New tactical games emerge, with new rules. A recent example is Dutch duo Karen Lancel and Hermen Maat’s project Tele_Trust, discussed during a panel with Kluitenberg and Seemann. 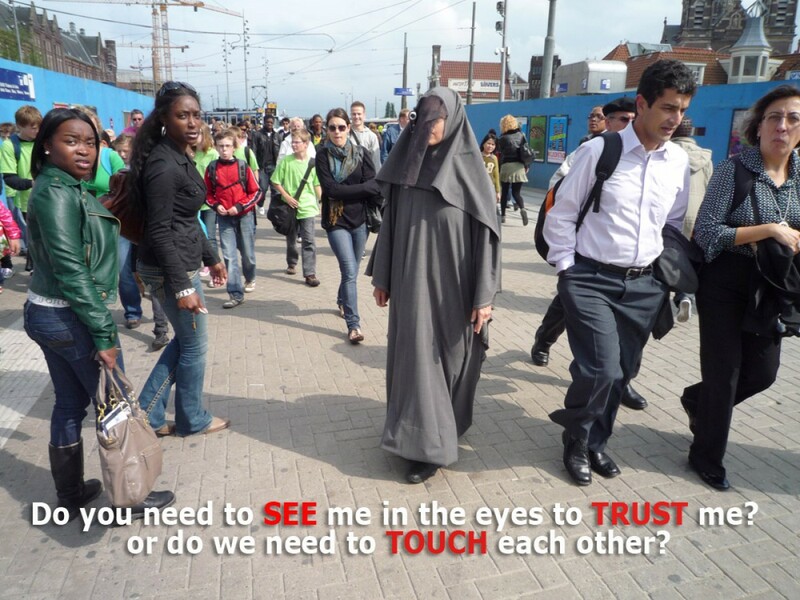 The artists created a touch-sensitive veil to “select” the sensors—somewhere between the burqa, the Christian tunic and Darth Vader’s cloak—as a body interface to interact with others via the Tele_Trust server. 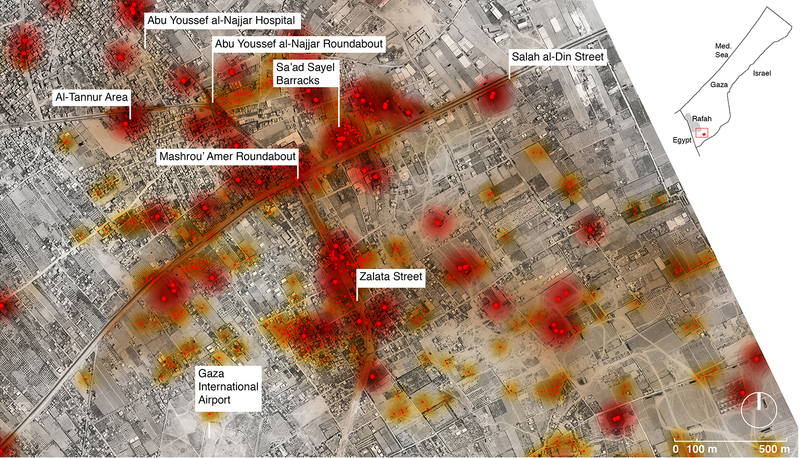 Another post-Snowden strategy takes form in the research of Eyal Weizman and Forensic Architecture, which combines architectural modeling techniques and computer forensics. The Israeli architect presented two investigations led by his research group Forensic Architecture at Goldsmiths, University of London: the first proves Tsahal’s responsibility for the assassination of Palestinian children in Nakba; the second reconstructs the thread of “Black Friday” bombings in Gaza in 2014, for Amnesty International—both must-see videos. These examples show the reconstruction of data based on cross-examining multiple videosurveillance and television images, analysis of sound spectrograms, 3D reconstructions of places where events took place, form recognition, timestamps, etc. They include stupefying analyses playing on all the angles of sousveillance cameras, on par with the Matrix or the Warren Commission’s “single-bullet theory” regarding the assassination of U.S. president John F. Kennedy. Eyal Weizman emphasized the asymmetrical quality of their citizen expertise. 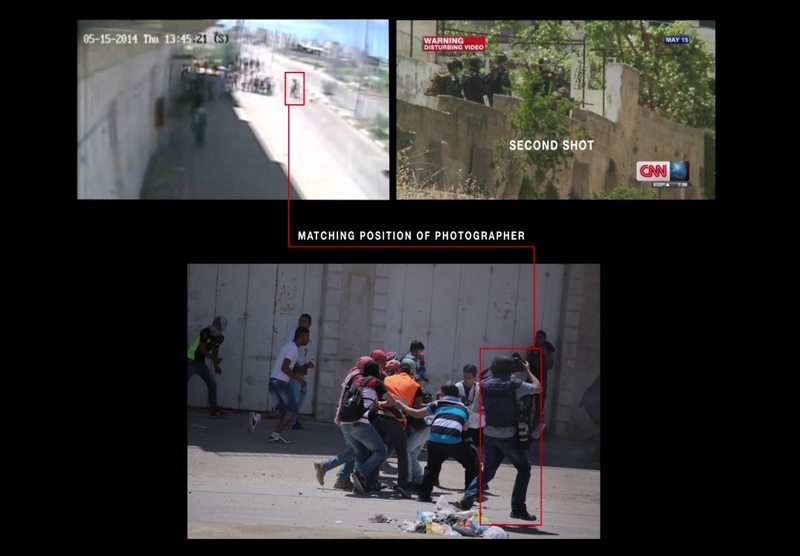 The Forensic Architecture members consider themselves hackers of forensic expertise, who are attempting to “create little cracks in the State’s construction” and break the denial of “pseudo-experts” in media commissioned by the Israeli army. They develop their software in open source, so that it can potentially be used by all activists over the world. 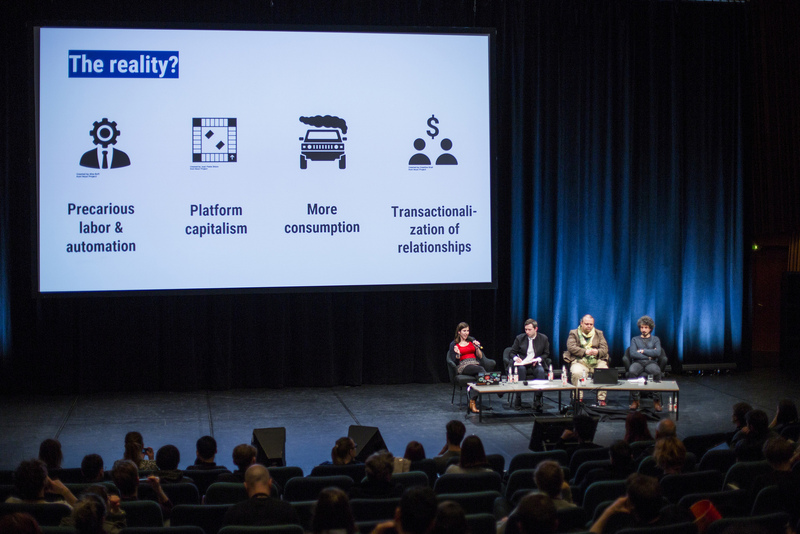 What about maker culture, the most recent of digital cultures present at Transmediale? If at the beginning of the decade, the term evoked all the democratic and creative potential generated by the advent of digital fabrication, today, in the context of “industry 4.0” and the now-standard Internet of Things (IoT), it has become fundamental to repoliticize and reposition this culture. How do we go about it? 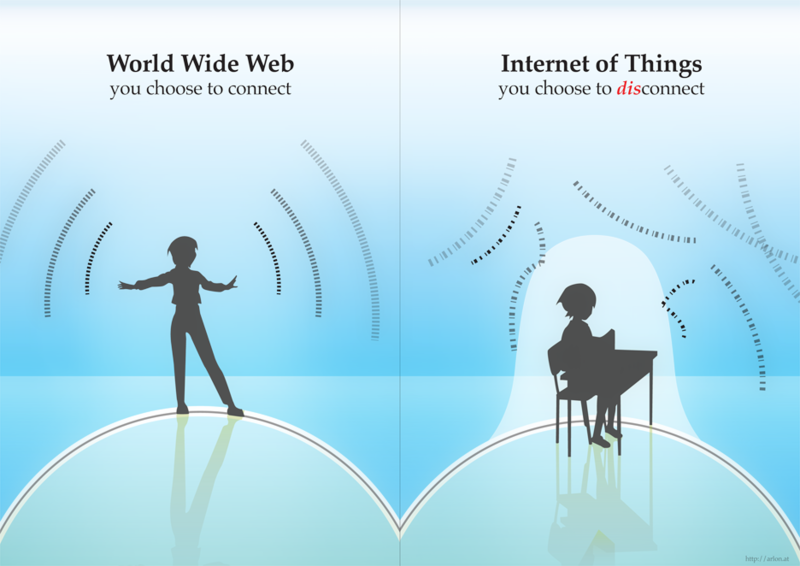 Once we appropriate IoT knowledge and techniques, we can develop “off-the-cloud” tools and open passageways to personal autonomy, for example by bypassing the standards of operating system providers, Internet navigators and data visualization tools, and thus refusing to sell our quantified personal data. Natacha Roussel, artist and hacker of the Dyne collective, insists on a feminist approach to radically rethink the “quantified self” by and for women who want to engage in autonomous consciousness of their body. Here she references methods of reappropriation practiced in medicine and gynecology by the Gynepunk hackers. Beyond the “intersectionality of struggles for autonomy” evoked by Natacha Roussel, we must act through design. During the “off-the-cloud” day, the Dyne free software foundry, a partisan of “unstable media” culture, presented Dowse, a hub for preserving privacy in IoT. Our digital tools have complete access to the data of humans who use them and can communicate among themselves without our approval or even knowledge. Risks of abuse and exploitation of “unconsious” asymmetrical information are constantly increasing. The option recommended by Dowse is to “disconnect”. Christoph Wachter and Mathias Jud, highly committed to the migrants crisis, presented Qaul, a mesh network that connects wifi devices, very useful in Internet blackout zones, whether it’s the Egyptian revolution, the recent earthquake in Nepal, or during the exodus of refugees between Turkey and Germany. This system will be practically implemented at hotspots that will begin to be deployed in Greece by the end of the month. Also in Greece, the local mesh network Sarantaporo.gr was developed in a rural area with low bandwidth. Activist filmmaker Ilias Marmaras presented the first images of Building Communities of Commons, a documentary based on this experience, financed through Goteo. 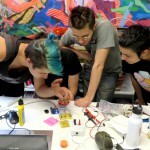 The “Anxious to Make” red thread programmed by Teresa Dillon debated the issue of open hardware and reverse engineering. 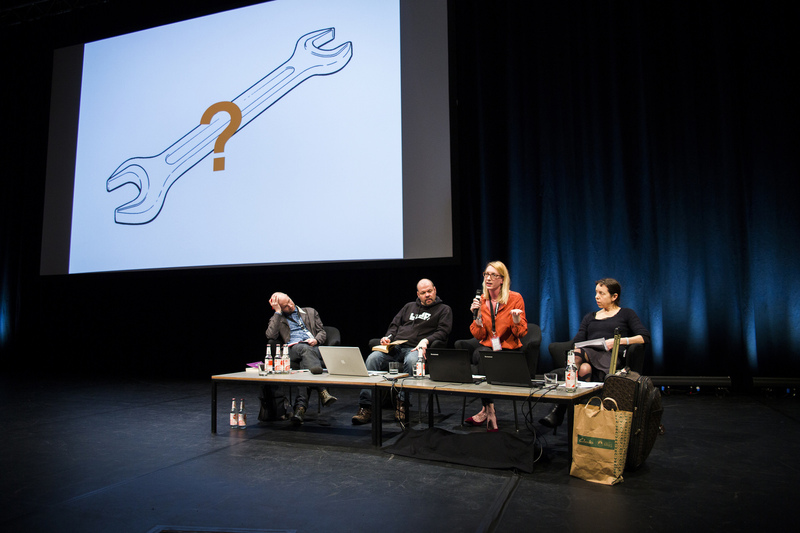 The “Future Factories” panel presented various initiatives, such as “free hardware” houses, like the Hexayurt of Burning Man, or the open hardware licences of CERN (European organization for nuclear research), which were the subject of an investigation by researcher Alison B. Powell. We also heard more about the Axiom open source camera, following research in the free firmware “Magic Lantern”. Potentially a 100% autonomous camera-tool for the “citizen spies” of sociopolitical crises to come? This “open” debate is perhaps not the most important. As Brian Holmes reminded us, the community’s “liberal unconscious” pushes us to distinguish between the categories of “open” and “closed”. But at the heart of the maker culture is ultimately the power to deeply transform the production chains of tools, and therefore the social conditions of the uses. What truly matters for makers and open hardware developers is fighting the programmed obsolescence of our technological objects. It’s a way of escaping “crapularity”, that singular point of submersion by plastic and electronic waste evoked earlier in the festival by the authors of the Additivist Manifesto.